Periodically, NuLeadership Revolution discusses emerging trends with an industry expert. We are happy to talk with Caesar Andrews this week. Tell our audience a little about yourself. My current adventure is in journalism education. Teaching ethics, writing and editing courses. Most recently at the University of Nevada, Reno. My transition to the classroom follows years of work in newsrooms. Interest in news goes back to high school. I majored in journalism at Grambling State University in Louisiana, with many hours spent working on the campus newspaper – great experience. When first hired as a staff writer in Cocoa, Fla., I figured I would report for a few years, then move on to some other field of interest. Well, “a few years” turned into about 30 with the same company. I did not start out feeling journalism was some kind of lifelong destination for me. But I ended up loving the work and the challenges (most days) and the many ways journalists get to witness so much of the world. Discuss your experience working in your industry. I was fortunate to work with many talented people. I was fortunate to be part of newsrooms covering major events –launch of the first space shuttles, national political conventions, the Sept. 11 attacks, sports championships, and more. I likewise appreciated the impact of covering local community news. I was able to work in markets big and small, from a weekly in Florida, where I was first promoted to manager, to the start-up staff at the national daily USA TODAY. Other career stops were Lansdale, Pa., suburban New York, a news bureau in Washington, D.C., and Michigan, where I completed my Gannett Co. career in 2008 as executive editor of the Detroit Free Press. I enjoyed the improvisation found in newsrooms. Even during calm periods, breaking news was always on the verge of happening at any moment. A major project or something small but meaningful was always working its way toward publication. Journalism is a great match for those with an appetite for constant learning. Lessons can be found all over. From sources. From an often critical public. From many wise souls who populate newsrooms. And certainly from mistakes – the most painful ones can end up making you stronger. Even the knuckleheads encountered can play an educational role. An awful lot can be learned by observing what not to say, what not to do, and how not to be. What are some industry challenges over the next several years? For traditional news media gatekeepers, the old iron grip on access to information and on steady growth in ad dollars is gone. For most consumers, unending streams of words, images, audio and video on almost any conceivable topic are just a click away. Large portions of this information come from providers who do not label themselves professional journalists. But the impact on those who are journalists is unmistakable. News organizations as well as individual news professionals are forced to sharpen their sense of purpose. The smart ones concentrate on making what they offer even more distinct. They specialize in content that extends beyond what readers, viewers and listeners can easily get elsewhere. Mastering the right delivery technology is one challenge, as more and more people bypass printed news pages and traditional network newscasts. Managing the clash of company motivations is another big challenge. Serving the civic good AND making a profit that sustains the business have to be reconciled. Tension between noble purpose and profit margins is not new, just more painfully apparent in this period of economic turmoil for traditional media. What steps are market leaders in your field doing to address these problems to ensure sustained success? Every serious media organization is rewriting strategies. They are rethinking news content for digital users, refining their pitches to advertisers, and pushing to charge users for information consumed online. Newsrooms are seeking workers who help identify and connect with targeted audiences. The best job applicants come armed with digital awareness. Media organizations are consolidating, collaborating and remaking themselves in ways unimaginable not long ago. This is all driven by the need to reconsider traditional boundaries, especially as audiences, and therefore advertisers, dramatically change their patterns of media consumption. Newsrooms are making use of more citizen contributors. Modern consumers expect wide-ranging interaction through media, not just old-style, one-way presentation of news. Citizens’ blogs, reviews, commentary and ubiquitous public comments online have altered the community conversation. What tips would you give individuals interested in getting into your industry as a new prospective employee? Treat development of skills as if mining for gold. Place high value on curiosity. Prepare to take on different opportunities, whether with established companies, or innovative start-ups, or as a freelancer, or in some other customized role you choose to create. Any additional insight you would like to discuss? The finest journalists hold on to some timeless principles that do not go out of style. They tell compelling stories that ought to be told. They practice the art of personal credibility. Caesar Andrews is a visiting professor in the Reynolds School of Journalism, University of Nevada, Reno. He holds the Paul A. Leonard Distinguished Visiting Chair for Ethics and Writing in Journalism at UNR. Previous visiting professorships were completed at Washington and Lee University in Lexington, Va., Arizona State University, Phoenix, and at his alma mater, Grambling State University, Grambling, La. 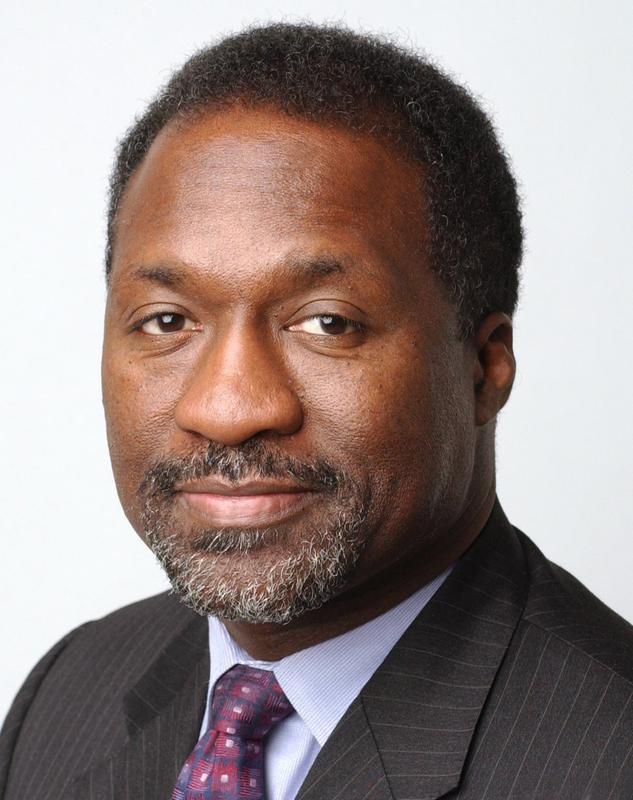 Andrews worked as a senior editor for the Gannett Co. for nearly 30 years, most recently at the Detroit Free Press and previously at newsrooms in Washington, D.C., New York, Pennsylvania and Florida. He is a former president of the Associated Press Managing Editors and was an officer in the American Society of Newspaper Editors. He serves on the boards of directors for the Council for Higher Education Accreditation and for the Student Press Law Center. I’m curious as to your thoughts about what types of media outlets will not survive the drastic changes in technology and the way people today continue to access information. News and interest in news media is always going to be a huge part of our lives, but what will be the first media outlet to go extinct? My initial thought would be newpapers, which may go completely online in the near future, but you may have other thoughts. According to a recent poll from Pew Research Center, 64% of Americans believe that print editions of newspapers will be nonexistent by the year 2050 (Gellman, 2010). It’s hard to imagine life without newspapers, but personally I haven’t bought one in years because I’ve had access to the information elsewhere. As technology changes the way we get information will undoubtedly change as well. It’s going to be interesting to see what changes in media occur in our lifetime. I think you’re right about the shift to online. That march is already underway. … Newsrooms defining themselves as merely newspapers or just traditional newscasts don’t have much of a future. The same is true for those failing to market an image that feels worthy to audiences. Likewise, places unable to solve the triple riddle of quality news content/paying subscribers/valued advertisements will not make it to the 2050 doomsday cited in your comments. In truth, the demise of individual media organizations has been under way for some time. Expect the weeding out to accelerate. Avoiding that fate requires thorough transformation. Journalists must generate the kind of credible information people want and need, wherever and however people want to consume it. Thanks so much for lending your time to this critical discussion about print media! You have a great perspective. My IQ went up several notches each time you shared your insight with our online community. Let’s do this again….real soon! The age of paper in general has lost its value among the modern reader. We are seeing more and more of paperless products emerging among different technology groups. It is unfortunate but for the price of a fashionable tablet we are contributing to destruction of many jobs and mouths that were being fed. This is true not only when it comes to the news, but books will suffer as well, as well as postmen who are being outsourced by electronic mail. According to Swissinfo, (2011) “Newspapers will disappear and be replaced by digital versions by 2040, the head of the United Nations’ intellectual property agency has told a Swiss newspaper” (para. 1) Places like Europe which are technologically advanced yet somewhat older in fashion are also experiencing the same thing the United States is, but at a faster level. I appreciate the point. In the opinion of many, the daily printed newspaper is not long for this world. Here’s a question for coming generations: If reporting credible information remains a worthy public purpose, what’re the best new methods for reaching people? … Keep in mind, history is full of purposes that survive dramatic changes in methods. As one example that is often cited, think transit as purpose, horse-drawn carriages as once a popular method. Getting from here to there never went out of style. Horsepower just evolved into something more amazing. Thank you for sharing your knowledge concerning the journalism industry because it is certainly a fascinating topic. It is amazing to watch how quickly this industry has evolved over our life times into one that is highly competitive. A good example of a new form of journalism that is evolving is relative to the recent shootings in Toronto, Canada and the shootings in Aurora, yesterday. This form blends traditional reporting and crowd sourced reports that took place. Journalism has evolved to a situation where one can ask a question over the internet about an event that happened less than eight hours ago and can get an immediate response firsthand. Furthermore, the future of journalism is continually evolving based on the rapid growth of technology. In this case, we see several different factors coming into play with the way news and/or journalism is being practiced. The eyewitnesses, victims and others telling their stories are directly involved in the reporting of media themselves through blogging and twittering. Through this new methodology supported by advances in technology, the American public is not required to wait for traditional journalists to ask questions and find the answers. This means that things could be a bit more dramatic, but it also means we can get direct information without waiting for it to be filtered by a new entity. I have to wonder how different this industry will be in another 10 years. I must agree with you in that journalism has evolved in the last last ten years. It is actually nice to get information in “almost” actual time as a result of improved technology. By using both the traditional and social media realm, there is not excuse not to know what is happening in our country and around the world. Yes, it will be interesting to see how journalism changes in the next ten years. It is nice to be able to receive news information in almost real time, but this also causes discrepancies in the information. With everything being so fast paced, it is almost impossible to keep false information out of outlets, such as social media. People are constantly tweeting and updating their Facebook status. I noticed a huge surge in social media activity when news broke about the Aurora shootings, and it’s still buzzing with all kinds of “information” about the tragedy. I read an article where the president of ABC News had to apologize for releasing information about the shooter before it was fully vetted. So many crazy theories spread like wild fire through social media on a daily basis. Thank you for taking time to be our guest blogger this week. You mentioned earlier in the blog about traditional news media once holding an iron grip on access to information. Now that we are living in an information-rich age, the line seems to be blurring between what is and what is not ethical journalism. I have also noticed that students have trouble determining what are considered academically acceptable sources for information. Stephen Ward (2011) recently stated, “The speed of new media tempts many users to ignore the restricting methods of accuracy and verification” (p. 1). Yet, the Society of Professional Journalists has a great website with sound principles for journalism. Can disruptive technology such as smartphones be blamed for an erosion of ethics or is the underlying factor a shortcoming of educational understanding regarding the principles of journalism? You bring up a good point about what sources are newsworthy as well as what students can and cannot rely on. For instance old school journalism is accurate and precise and rarely do they attempt to fabricate information in order to please the masses. Does this apply to such social sites which we have grown to follow and partake in? According to Chittum, (2012) “That many people don’t know that their reading habits are being shared with friends and family raises fairly serious ethical questions for news organizations (and for Facebook, which we know doesn’t care about them as they relate to privacy, anyway)” (para. 4) So is the social news worthy if it causes us embarrassment among our friends and peers, if everyone knows about what we read during our private times? Social media is an unsettled work in progress. Fresh rules are still being written. These issues extend well beyond journalism. In large part because this branch of media is dominated by people who choose to share the tick-tocks of their private lives. Bad stuff can be found. With sometimes embarrassing, brutal, and even tragic results. Society has to figure out better controls. But the overall benefits of citizens interacting are unmistakable. Social media is a net plus. That is a really good point, as Mr. Andrews pointed out,”Large portions of this information come from providers who do not label themselves professional journalists. But the impact on those who are journalists is unmistakable.” Is there a way to calculate or observe the impact untrained reporters have on the industry? According to one such author, this term “crowdfunding” as it has become to be known in the industry, has proven to be a new and sustainable business model (Betancourt, 2009). It seems like the financial flows will dictate the future of this industry. Is this a possible new model that we will start to see functioning on the media scene? I don’t know of a neat way to quantify the impact of non-journalists. Except to say the results are massive. Technology allows pretty much anyone with a computer or smartphone to publish in a highly public setting. This means the formal media have much less of a monopoly on controlling the flow of information. More engagement with citizens changes the nature of public conversations about issues. Anyone can contribute. Including critics of how the media are performing and people with enough expertise to challenge statements by authorities in the news. Crowdsourcing, the use of everyday people in gathering information and reactions to a particular issue or event, is one of the ways in which regular citizens are having more substantial impact. But this is just one tool, and not fully new. It’s probably not enough on its own to serve as the next business model for media, but it is an indicator of how media processes are changing. I agree that today’s technology is wreaking havoc in the news realm but this isn’t the first time technology has caused such issues. In fact 30 years ago Ted Turner predicted the end of the paper industry when he first launched CNN. Many are predicting the end of news organization to be just around the corner some suggesting only being 5 years away. Do you feel that with the end of the paper industry this would be the end of the professional journalist? Without journalism would we have reliable information? According to Walter Isaacson former editor of Time magazine, “ The type of journalism that a daily newspaper does is indispensable to holding people accountable in the town, to brining us together as communities and to giving us the information needed to help democracy” (Marquez, 2009. para.7). I remember growing up hearing how difficult it was to be a journalist or reporter because of the competition and the need to stand out. It seemed that only an elite few were ever able to get so far in the business. It reminded me of the struggles of actors/actresses making an attempt at Hollywood or Broadway. However today I have noticed the trend in “freelance” reporting and so on. My question to you is what credibility is being lost from, when newsrooms are requesting the service of citizen contributors? Is it legitimate reporting and journalism? According to McBride, (2006) “It’s great that newspapers host these sites. It’s a wonderful service for community. They are often interesting, vibrant and exciting. But it’s not journalism. So don’t call it that. Journalism is an independent act of gathering and assembling information by an organization” (para. 4) She is referring to the excess news or lack thereof that is constantly being reported which does not make for old fashionable news. Is it safe to say that journalism is a science evolving with the current times at a constant level? The field is definitely evolving. What is journalism and who cares? That’s a standard question still up for debate. Since I don’t always have a finite answer, I try to consider as much the credibility of the information, whether from pros or citizens. Practices such as accuracy and verification take serious hits when people not competent or professionally aware take on editorial roles. More emphasis ought to be placed on how to make wise use of uninitiated contributors. Some people not steeped in the principles of news may still have something to offer. To help fill the void on fundamentals, some newsrooms provide training and other guidance. Encourage regular contributors who are credible; distance newsrooms from the rest. I agree that the field of journalism is evolving. But, what is it evolving into or where is it going ultimately? As you may be able to tell in some of my posts in this blog, I feel that modern journalism may be threatened by questionable sources. When I watch or read the news, I sometimes say, “This isn’t really news because it is written with so much opinion and filled to the brim with assumptions.” One reason this could happen so frequently is because the news cycle is continuously shortening and interest is declining in print media (Barnhardt, 2011, p. 99). Do you think the issues we see are because we are waiting for journalism to catch up with technology? Your generation of consumers will have a lot more to say about where the industry is headed. I expect more news tailored to precise audience interests. More context, not just facts, but more on meaning and impact. More reflection of diverse demographics. More experimentation with devices that will ratchet up the monetary value of news and information. More provocative ideas; no singular solutions. The right answers will involve matching up content and delivery with audiences. More savvy is required in delivering content to the right places, in the right forms to match what people want. Your question on technology captures the dilemma. Technology is a dynamic force of change. The industry is working feverishly to adapt and adjust, but not fast enough. You are welcome. I would love to see research on the frequency of credibility violations. Now vs. before digital technology. I won’t assume today’s journalism is more corrupt than before. But no doubt, lots of information is posted and passed along quick and wrong. And there’s plenty of plagiarism and fiction today masquerading as legitimate original news. The same technology that creates convenience in so many constructive ways also makes crossing ethical lines much easier. Conversely, perhaps, such flawed work is more exposed than ever before. So technology cuts in both directions on matters of ethics. More education, more clarity, more new thinking are in order. Adapted to fit all the volatile changes. What hasn’t changed is human nature. That’s a mix of whatever it is that drives people to do right. And whatever it is that creates lying, cheating, stealing and other serious lapses. I wonder if credibility violations can be attributed to the fact that we now have so much more access to all different types of media. Many times I am reminded of the old game “telephone”. One person would start out whispering something to the person next to them, they would whisper it to the next person, and so on until they get to the last person. It was amazing to see how much the original message had changed by the time it got to the end. All it takes is for one source to be wrong. That “reliable” source can report to their source, who reports to their source, who reports to their source in the newsroom. The information has been skewed from the beginning, but when you trace it back so far, everything may seem to check out. Once it hits print or air, then it may come to light that something wasn’t right once we got to that last person in line. Beth, you have made a great point on how information gets twisted and turned around so much by the people it passes from and to. I do believe that information should always be taken lightly and not like concrete becaus there is always something that is a little off. While looking through my hill book I noticed a sentence that makes me think of the media. “There always have been and always will be corrupt government officials” (Hill, 2011, p.141). If this is true what can we say about media that may be speaking with an official of this nature and get a inaccurate report from officials. I feel that while media is to be blamed if they release incorrect information it is not always their fault but the information they have received from the source. Hill, C. W. (2011). International Business: Competing in the global marketplace. University of Washington: McGraw-Hill/Irwin. A before and after technology research project on journalistic credibility would interesting indeed. Regarding plagiarism though, I often run across the same news report online that has basically been copied and pasted with no references. I especially see this in the technology news community. It’s as if the news sources have a groupthink approach that purposely ignores who the originators were. At the same time, none of the outlets outwardly complain about it either. I believe this lassiez-faire attitude about citing sources is potentially damaging the reliability of the technology reporting sector. It’s not the fact that anything has been done maliciously, it just cheapens the information. It seems to be interesting because of the amount of attention such “journalism” receives from the general public. While many people share my views on how flawed and unprofessional freelance journalism, it seems many others see it as a better form of journalism. A form which is more daring and more provocative; has caught the attention of many people in the past few years. Another point which seems to have become a trend in journalism is the number of excess stories out there. Many freelance journalists tend to write about a lot of personal experiences such as what market the shopped at or how well their neighborhood looks etc. etc. Personally many like myself do not care for this journalism and I feel it is cluttering the internet with too much junk, stealing away from the important news. Columnists have turned into bloggers. Or, do bloggers believe themselves to be columnists? This new ability of people to become individual journalists comes partly from the fact that there is now immediate access to news online instead of waiting for the news to go to print. Articles do not have to be approved or edited before they are submitted or posted. It seems to me that while this new acess can be a good thing, it can also create havoc. Stephen J. Ward writes , “A media revolution is transforming, fundamentally and irrevocably, the nature of journalism and its ethics. The means to publish is now in the hands of citizens, while the internet encourages new forms of journalism that are interactive and immediate. Our media ecology is a chaotic landscape evolving at a furious pace. Professional journalists share the journalistic sphere with tweeters, bloggers, citizen journalists, and social media users” (n.d., para. 3). What do you think the introduction of the ability for anyone to “report news” online has done to the definition of a journalist? Has it taken away from the meaning or the integrity of those that are “officially” employed by a newsroom? Beth: Many people not working for a news organization now generate content that matches or overlaps with the kind of work produced by professional journalists. So defining journalist today can be a lot more fluid, more flexible than before. Interested to hear how you and others define journalist. As for the news media’s ethics image, the public’s ratings of journalists are usually quite low. But I don’t blame that on blogging or social media. Perhaps these are factors. Many other dynamics drive the public’s negative perceptions of professional news media. I am caught in the middle of the journalistic divide occurring in the U.S. I love how technology has transformed the way we are able to check news, sports and business stories in real time from a phone. But I also like reading the Wall Street Journal, picking up my Sports Illustrated and feeling the pages. I am still crushed the Times Picayune in New Orleans is dropping to a three per week print because I have always felt it was the best newspaper in the U.S. I grew up reading the Picayune and felt the stories told in those pages were true, unbiased accounts of what was going on in my city. The investigations spawned by the paper were numerous and effective. What is your opinion of the story by the New York Times regarding the lost art of the political quote? (link below) Basically, Americans are provided the sanitized quotes of anonymous political officials and our media abides by the rules without hesitation to gain “access” to the political officials. I believe this practice has partly contributed to the death of print and the rise of the freelance digital “journalist.” Thank you so much for sharing your expertise with us. With your feelings on the newspaper beginning to die out, some say that with the globe still having so many readers that it will not. “The Boston Globe is figuring out when and how news articles are circulated in the digital world in order to better broadcast their website” (2012, para.4). Do you feel that local papers such as this one, Umass Boston’s independnt student newspaper, that posted this article on how newpapers would not die out will in fact survive with the potential die out? Kim, Christi. (Jan 25, 2012). Why Newspapers Will Not Die Out. “An awful lot can be learned by observing what not to say, what not to do, and how not to be.” I think that is a wise life lesson, thank you for that. In response to a previous comment, you asked, “If reporting credible information remains a worthy public purpose, what are the best new methods for reaching people?” My answer is simple, bogs. Now, according to Barb Palser, “bloggers are the antithesis of traditional journalists: unedited, unabashedly opinionated, sporadic and personal.” (Palser, 2002) As a traditional journalist, you may see some valid points in Barb’s argument. Social media is a huge success because the content is personal and written in a conversational voice. I realize, the biggest drawback of bloggers presenting news coverage is that the content will be their opinion with perhaps a few cited sources. However, with that being said, they will still attract a decent following that will share their message with others via social media. Do you think blogging is a modern form of journalism? I agree that blogs are becoming increasingly important tools for reporting. However, they are nowhere near accurate enough or policed to a point that most students or journalists could use them effectively. In fact, I have never used a blog as a reference in any paper I have written in our program thus far. Even though the APA gives us examples on how to cite blog posts in papers, I still don’t trust them. In my opinion, blogs are a last resort in gathering research. Barbara Quint (2007) of Information Today stated, “Bloggers can create problems when they don’t behave like reporters” (p. 1). The only possible way to bring more integrity to blogging is to educate the bloggers. Even then, in an uncontrolled online environment, information must be chosen wisely. I agree with you, blogs are just not creatable enough for academic papers. I would like to add to your point and say open-source website are not either. However, I do think they can be a good starting point for an academic paper or for a work related question, you might need to research. The ironic thing about Wikipedia is they agree with the academic institutions, as not being a credible source. Wikipedia explains it by saying, “Do your research properly and wisely. Remember that any encyclopedia is a starting point for research, not an ending point” (Wikipedia, 2012). I would recommend reading the webpage, if you have not ever seen it before. I would like to ask you, do you think bloggers have a place in the news media? I also agree that blogs can be tricky to use in research, papers, or as any credible source. However, its not any different then any random website that is not part of some type of educational institute or credible source such as a magazine, book, or journal. I think the main thing to focus on is if the writer uses sources that are robust and from quality sources. However, just because someone uses credible sources does not mean that they necessarily know what they are talking about. The Insider Magazine says that its important to remember that “blogs are intended to both spread facts and opinions, however most of the time the later is what is written” (Faulkner, 2007). Unless it is absolutely necessary, I would recommend people using sources just as books or scholarly journals. This way, the writer knows they are using a credible and sources that have correct information. Revealing story. Routinely letting subjects determine what happens to quotes is a lousy way to do business. Yes, some exceptions will sometimes justify themselves. Genuinely sensitive matters. Technical details. Something so essential for readers that all the deal-making is worth it. But hard to defend exceptions for everyday stories. Though in truth, journalists strike all kinds of deals in pursuit of stories. Interesting article. It shows the kind of hustling underway to help save journalism. I think newsrooms engaged in this kind of experimentation have a chance to succeed. They are moving from a print foundation to whatever platforms audiences prefer. It’s difficult to see how those who decline to connect with their audiences in new ways will survive. Back to question of whether sources should be allowed to approve quotes in advance of publication, see link to related chat on poynter.org. Mr. Andrews, I appreciate your time contributing to this class. I know it’s time-consuming to respond to so many posts. Actually, I have my undergraduate degree in journalism from UT, and I have found it to be very valuable throughout my career, even though I never became a journalist. Not only has Journalism given me strong written and verbal skills, it has helped me gain a more objective perspective on my decision-making. However, I obtained my degree when Journalism was part of the same school as Public Relations. With that said, have you seen the lines blur between journalism and public relations professionals? Do you think the relationship is too cozy between these two sectors? News ideally serves facts along with the best approximation of truth to an audience. PR’s priority, by comparison, is serving a client or cause. From an editorial perspective, the key is not compromising news coverage in ways that taint integrity. Given how often professionals from these two branches of communications have to work together, line-blurring conflict crops up all the time. Often too cozy. But interaction between the two can help each achieve its mission. Proceed, with ethical standards in mind. Journalism and the news industry in general have always interested me. My father has been in the newspaper industry for 30 plus years. In fact my first job was working at a distribution center sorting and stacking papers. It’s been sad to see so many Newspapers close the doors the past few years. I know that today’s technology is wreaking havoc in the news realm but this isn’t the first time technology has caused such issues. In fact 30 years ago Ted Turner predicted the end of the paper industry when he first launched CNN. Many are predicting the end of news organization to be just around the corner some suggesting only being 5 years away. Do you feel that with the end of the paper industry this would be the end of the professional journalist? Without journalism would we have reliable information? According to Walter Isaacson former editor of Time magazine, “ The type of journalism that a daily newspaper does is indispensable to holding people accountable in the town, to brining us together as communities and to giving us the information needed to help democracy” (Marquez, 2009. para.7). I like the line on indispensable. Great goal for journalists. I don’t think professional journalism will disappear. But let’s just pretend that will happen. After a moment of mourning, the masses will still need the kind of reliable, indispensable information you refer to. Thanks to technology, individuals will be able to access a wide range of data on their own. Millions of non-journalist providers, big and small, will feed the supply. Some will be excellent sources of information. Yet most everyday individuals will not have time or expertise to sort out all the conflicting and dubious information. Instead, they will have to rely on people skilled at gathering, summarizing, verifying and presenting the details. Skilled people who provide relevant information in a timely manner will earn trust. Once their skills rise above the level of the common man, they will earn professional status. And they will be called something. Journalists? Thank you for contributing to the blog. After reading your blog, I went online to get more information about issues facing the journalism industry. An article caught my eye, “6 conflicting headlines: Who’s telling the truth? And how do you know?”. The article, written by Forrest Carr, the news director of KGUN9, discussed events leading up to a story about a school shooting being reported differently by six different media outlets. Mr. Carr wrote the story in an effort to help the public understand the events which led up to this particular story and how the differences in the stories came about. All but one outlet reported incorrectly, KGUN9’s report was correct. I found it disturbing that this happened with such a serious situation (suspected school shooting) because of the public reaction it would have caused. The take away from his article, in my opinion, is that the intense competition to be the first to report “spot news” has virtually made it an accepted practice to report without performing due diligence to verify the credibility of the source, particularly if it is another news outlet. Mr. Carr does not appear to subscribe to this practice and refused to allow his station to move forward with the headline just because the competition was doing it, for which I applaud him. What are your thoughts about the rush to be first? In your opinion, is there anything the industry can do to curb this practice? The bungled media coverage of the U.S. Supreme Court decision on health care reform is a glaring example of how airing information right away can backfire. Speed is not the ultimate culprit. Failure to verify is. Quick presentation of news is a legitimate and even essential part of professional media. But if information is wrong, speed becomes a toxic liability. There are extensive processes for minimizing odds of getting any story wrong. I’ll mention just one step: Do not publish, post or air anything as fact that is not known as fact. Circumstances sometimes require reporting accounts that are not fully formed. Let the audience know what is not yet known. Do not state with certainty what is not proved to be certain. Fast facts, good. But never without defensible verification. Like everyone else I want to thank for your time. Journalists I believe have a hard job. I think about the 911 attacks and the horrible events surrounding that day and the days after and can’t imagine the emotional toll that would take on someone who had to see and hear firsthand what happened. I have a lot of respect for you and those in your profession. I agree that people are turning online to get their news but I believe they are still turning to traditional outlets to get their information, places like CNN and The New York Times for example, mainly because people trust those resources. Do you think that crisis facing traditional media outlets is more about revenue than losing their audience? Rosenstiel, Tom (April 7, 2011). Retrieved from: http://www.washingtonpost.com/opinions/five-myths-about-the-future-of-journalism/2011/04/05/AF5UxiuC_story.html. Is this crisis more about losing revenue than audience? Yes. Yet the two factors are intertwined. According to the Newspaper Association of America, total newspaper advertising expenditures in 2005, the highest year on record, was nearly $50 billion. By 2011, the total had eroded by more than half, to $23.9 billion. This rapid decline is astounding. For newspapers, that’s the driver of buyouts, layoffs and all manner of budgeting misery. Traditional circulation is declining as well, just not at the same pace as advertising. On the plus side, news organizations point to significant traffic online. From that perspective, many have more total readers/viewers than ever before. But online revenue so far is paltry compared to the dollars still generated by print. Extracting much more revenue from non-traditional streams is key to future success. 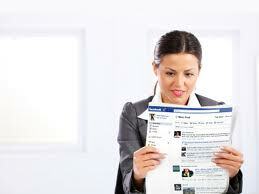 Like most of the others that have commented on your post, I see the print media shifting to the IT world. However, I have embraced the change. Just as you stated in your analogy on traveling – “horse-drawn carriages as once a popular method. Getting from here to there never went out of style”. I really enjoy riding to work in my truck as to a horse! Furthermore, like most, my weekdays are usually crazy. For example, I used to pay/subscribe for the local paper, but if I did not get into the office early (before everyone else) I never had a chance to read it, and I ended-up letting the others in the office have it. Therefore, I might be one of the few, but I have enjoyed the new and clever ways the big media outlets have pushed the information to me. So, instead of wasting my money on a newspaper, I have signed up for text message and twitter updates from all of my favorite media centers. This way I get to keep up with breaking news, politics, sports, and weather in a 180-character text. In the text will be enough information to tell me what is going on and a link to their website – just in case I want to read more about the story. A story in the New York Times reads, “With more than 200 million accounts, Twitter is part of an elite group of social Web start-ups that have flourished in recent years by rapidly attracting users” (Business Day, 2011). My question to you is what is your preferred way to read about your favorite stories? How have you embraced the change, what is your new horse-drawn carriage? For years, the center of my universe was print, supplemented by broadcast and whatever else. Now, I consume whatever from all over. Most days, I start with news apps on smartphone. As for enjoyment of the reading experience, I still prefer print, sitting back, combing over pages, discovering. But I flow back and forth all day. Hit headlines on a handheld. Dig deeper and do searches on laptop. Waltz through the print version of two or three newspapers. It is interesting to hear insight from someone on the other side of the text that we read every single day. I have always been intrigued with journalists and the adventures they get to endure along their way, I am a huge fan of travel and a much bigger fan of “knowing it all”. Just out of curiosity, what is the most interesting story that you have come across thus far and why was it your favorite? It is truly incredible how much news mediums have changed, even in the short 25 years I have watched it progress and with the global competition increasing almost daily it seems impossible for just newspaper companies to succeed in this technological world. There are so many opportunities for independent journalist to post continuously online. In your opinion what is the biggest challenges that News companies will face? Do you think this drastic change will change journalism and news for the better or worse? Too many favorites. One simple but memorable story: A feature on hotel maids’ hard work. Details were so revealing that the article affected how I think about tipping. Very simple piece. But that’s the power of the best journalism. Tells a worthy story. Has impact on reader. Journalism challenges: Connecting with audiences in ways that will generate enough revenue; providing content that is distinct in a world were pretty much anyone can play the role of journalist; not panicking. Thank you for being our special guest during this class. I would like to make comments towards journalism and attention spans. Coinciding with the evolution of media outlets there has been reports that journalism has also had to respond to the shortening attention span of the viewers. Marilyn Elias from the USA Today associated this change beginning with a child’s television diet. She found that many issues could be identified by the age of seven. Now, many of these children who grew up watching short cartoons such as Spongebob are now adults. Could this be another reason why blogs and short headlines on internet media outlets are so popular? Basically, the average viewer only wants the short summary and not the real in-depth truth behind the story. Have you seen a transition how to relay information from Generation X to Y and forward? Personally, I find myself watching CNN Headline News, where the events are heavily condensed, versus CNN or FOX news. So, in this respect I can associate some truth to viewers possessing shorter attention spans. I think you’re right about attention spans being part of the reason short remains popular in social media. Control of access, personalization and ease/speed also may be factors. Newsrooms are increasing their presence in these social networking spaces, in search of young audiences. At the same time, journalists ought to always be on the prowl for the contrary. Even if short attention spans assure followers for tweets and for news summaries, can there also be a simultaneous market for longer-form content? What’s the role of great storytelling? Younger people seem much more inclined to interact online, not just read and absorb one-way content. Would love to hear more trend observations from Gens X and Y.
I would like to thank you for participating in this blog with our class. During my undergraduate career, I worked as the photography editor for the student publication The Daily Beacon at the University of Tennessee. Over the two short years that I was there, I saw a huge shift in the way the publication was moving. When I first started it was only a daily print paper. Towards the end of my time there, while we were still producing printed papers, so much was moving towards using the website and Facebook to share news. Even the local newspaper in Knoxville depends a lot on getting information out through their website and text alerts when major events happen. How do you see social media effecting newspapers in the future and do you think that there will even be print newspapers in ten years? Social networks will continue to create the most wide open ability of people to easily communicate across geographic and other barriers. Newspapers will accelerate their transition to digital. They will end up wherever audiences offer them potential to grow revenue. … I don’t expect print versions of newspapers to totally disappear in 10 years. Maybe not even in 50. Traditional print will not be the dominant platform. But some appetite for print will linger. Note that record albums and 45s maintain a limited following, despite the overwhelming presence of digital music. Professor Andrews, first, thank you for taking the time to be our guest blogger this week. I see from your comments and those of others on this site, that social media and internet information flow are considered to be becoming levels of journalism today. Obviously, there are concerns about factual information and biased opinions being a part of that flow of information. However, according to the Pew Research Center one of the Principles of Journalism is it’s “unusual capacity to serve as watchdog over those whose power and position most affect citizens. The Founders recognized this to be a rampart against despotism when they ensured an independent press”. (Pew, 2006, para 9) Is having a society that not only craves information but participates in the gathering and dissemination of information (basically a society of potential journalist) a positive overall for the society as a whole? In other words, on the whole, do you feel it is it better to have citizens that are involved throughout the information process? Mr. Anderson mentions how newsrooms are making more use of citizen contributors and how this has altered the community conversations, because consumers expect interaction through media. For example, Anne McNamara a reporter in Portland, Maine, used Twitter and Facebook to find local people with connections in Japan who were waiting to hear from loved ones after the earthquake and tsunami (Brooks, 2011). Randy, I agree with you, it seems it would be hard to determine who is a reliable source. So many people just want their brief shot at fame. I wonder how a journalist can decide if someone is legitimately affect by the event or if they just want to be featured in the article? Thanks Mr. Andrews for your time to share this information with us. I can see as technology advances the public beginning to rely less and less on actual paper news and more on electronic news. People want the information at their fingertips, so going to the store or waiting for the paper to be delivered is becoming an inconvenience. This doesn’t mean that people are not reading the information. I think it is just advancing into needing different delivery channels for people to access. “Sixty-one percent of Americans said they get at least some of their news online, according to a survey by the Pew Internet and American Life Project” (Gross, 2010). What are some solutions to you see your industry doing to overcome this new generation challenge? Professor Andrews, I think one of the biggest impacts that information technology has had on the world is in the area of politics. I am not speaking strictly of the United States but truly around the globe. We have seen how citizen journalist have been able to impact their people and their country. For example, the protests of the elections in Iran in 2009 and the involvement of Twitter. “Twitter didn’t start the protests in Iran, nor did it make them possible. But there’s no question that it has emboldened the protesters, reinforced their conviction that they are not alone and engaged populations outside Iran in an emotional, immediate way that was never possible before.” (Grossman, 2009, para 9) Do you think social media and the internet will continue to have an impact on the governments of the world and the way they handle the citizens? Thank you Professor Andrews with sharing your insight with us. I recently read an article that quoted Ayman Mohyeldin, an NBC News foreign correspondent, as saying, “We’re forgetting that there’s a difference between information and knowledge. If a bomb goes off in Afghanistan, people can read about it instantly on Twitter but they won’t be able to know what it means. Where did it come from? Who did it? What’s happening over there? That is what journalism can do.” I realize that often the articles I read online share the writer’s opinions and insights, but their information is usually second hand. A journalist or reporter in the field gathered the facts about the news worthy event. My question is, do you think journalism as we have known it is becoming a dying art? And, what advise would you have for a young adult who is interested in a career in journalism? Kim I totally agree with your assessment of how many journalists get their information from second or third sources. With the need for speed in journalism today everyone wants the store to be the first to print in all forms newspaper, twitter, internet, etc. A study of the credibility of political messages presented on the Internet found that those who use the Internet heavily tend to rate online information as credible. (Kaid, Postelnicu, 2006). The study also showed that when participants were presented with three sources of political information (one that was an expert, one that was trustworthy, and one that was a celebrity), participants found the celebrity to be the most credible. I don’t know about you but this is disturbing to me. Lynda Lee Kaid and Monica Postelnicu, “Blog Readers: Predictors of Reliance on War Blogs” in Blagging, Citizenship, and the Future of Media, ed. Mark Tremayne (New York: Routledge, 2006), 14964. Mr. Anderson, Thank you for your time. I recently read a quote from George Orwell, “Journalism is printing what others don’t want printed, everything thing else is public relations”. (goodreads, 2012). Do you agree with this statement? You said in the blog post that a big challenge in journalism in managing the motivations of companies, finding the balance between the civic good and making a profit. I agree with you, this seems like a large challenge. However, I am not sure that I agree with George Orwell. I believe there are some stories people want told that are not public relations. This is one area where social media is useful, stories that would not get published have the chance to be circulated. 1. Now is best time ever for consumers of news. 2. What newspapers do is not dying. Some printed form of newspapers will be around100 years from now. 3. The public’s exercise of First Amendment rights is more dynamic than ever, thanks to technology. 4. Most individuals have control over how most of their privacy plays out in public. Your observation sounds right to me. Social/digital media’s role in several protest or reform movements across the globe is a sign of just how powerful the newer tools of communication can be. This is not just about journalism. Citizens networking on political and social causes create a provocative force in society. That’s bound to influence government. Media routines are being disrupted by change. But, as you state, that “doesn’t mean people are not reading.” I agree. In fact, communications is a major growth market. The U.S. population keeps growing. The world keeps growing. More people, not fewer, are consuming information. Just not necessarily the old-fashioned way. … Journalists wanting to build audiences beyond the traditional forms have to accelerate their engagement in the newer forms. They have to anticipate where people will congregate, supply relevant information in those places and come across as an authentic sources for different generations of readers and viewers. Journalism will last as long as there’s an audience. Which is to say, as long as people see value in reading, watching and listening. The craft of journalism is not dying. It is expanding and remaking itself in many different digital forms. Quality of content will vary widely, as is already the case, ranging from outstanding all the way to useless. Building a media career that’s more outstanding than useless requires command of fundamental skills, starting with original reporting and artful storytelling. Critical thinking is another area to develop, especially as it relates to innovations needed to attract new generations of audiences. I have to side with you over Orwell. At least in a literal reading of his quote. A favorite memory of my father was every evening observing him sitting in his chair reading the daily news. I do not believe he ever missed a day in 60 plus years of his life. As with any great journalist, story telling is a gift and keeps the reader coming back. What do you consider your most memorable story and what makes it stand out from the others? Do you think that computer scientist can empower the journalist in the production of news and stories in the public’s interest? By journallist teaming with computer scientist to develop new interfaces and data extraction techniques, will the upcoming journalist have less pressure in obtaining their stories or will it make it more difficult? Will the digital age take away the journalist’s personal touch or add to it? Thank you sharing your wealth of knowledge with our class. Being on the Detroit Free Press staff when reporters investigated the mayor and others is one memorable experience. Coverage exposed audacious abuse of office and millions in wasted city money, . Seeing a once-promising mayor sent to jail was not so joyful for me, but being part of meaningful public service journalism absolutely was. Interesting thought on possible media partnerships with technology experts. Newsrooms made major strides over the past two or three decades developing computer-assisted reporting techniques. As media companies think about the next waves of innovations, more collaboration outside the industry is worthy. Not just to create more sophisticated content. But even more so to pursue improved devices and other breakthroughs for delivering news. … The best technology will continue smart use of whatever can make news coverage distinctive, including what you refer to as the human touch. As someone who is from Detroit and read the Detroit Free Press daily online, I appreciate the Freep’s work on the Kilpatrick scandals. You are right, it was such a promising time for Detroit that soon turned into its most shameful time. However, it was the role of the journalism to expose the administration and without the work that your team did, justice might never have been served. I want to thank you for your time, and appreciate the valuable information you delivered. I hold in high regard the following statements you made public. Journalism has changed dramatically in the last decade. Gone are the days of waiting for the Sunday morning paper to arrive or sitting on the couch at 6PM nightly to hear the current global and local news. USA today reported “a new survey by the Pew Research Center’s Internet & American Life Project and the Project for Excellence in Journalism makes clear, we have become a nation of news grazers whose “relationship to news is becoming portable, personalized and participatory.” This information establishes that people are increasingly curious. Curious about topics related to current events and news is making its way to people quicker and to a greater degree. I am curious to know your opinion. With advances in technology and the increased use of mobile devices for news updates. How do you think the news industry will continue to make money? Thanks for taking time out and posting. I would like to get your opinion on the “quality” of journalism and if you have seen a decrease in the quality over your career. It seems that no matter where you turn in the media world, that there is an underlining reason or “alliance” that the media has with a political group or a certain cause. I am all for free press and if a publication wants to align themselves with a cause or political group that’s fine. I don’t want their bias in my news report. It seem so many times we have to read between the lines. NPR, FOX, MSNBC all has their allegiances and again I believe in free press, but when the news cannot be delivered without mudslinging, or “shots” it becomes almost rudimentary. Again, thanks for posting and responding with some real world insight. Thanks. Your points about news organizations pushing partisan agendas lead to important questions about integrity. Bias, conflicts of interest, pulled-punches and other dubious practices have been part of the press in the U.S. from the very beginning. Modern standards demand better. But that doesn’t stop some in the media from associating themselves with one or another political faction. That ultimately affects how audiences perceive quality. Speaking more broadly, rating the quality of a vast and diverse media is a bit elusive. I still think much of the news media improved in recent decades. That progress is now clashing with major budget reductions that diminish staffing firepower in many newsrooms. Amazing journalism still happens in 2012. But mainstream media companies are losing billions in ad revenue, with dramatic impact on news staffs. I would like to thank you for taking time out of your schedule and sharing your thoughts with us this week. I was curious to know if you think if even the mainstream media outlets (ABC, NBC, CBS, etc, even ESPN) have become dependent upon “uncredible” sources? What I mean by that is that everyone wants to be the first to break a story, that as soon as something is reported, some networks will run with it and then have to alter their reporting later. Example would be the Supreme Court’s ruling on “Obama-care.” There were many outlets reporting that it was struck down by the court, then had to take back that story when a crucial part of did indeed pass. Are the major media outlets willing to run with the first bit of news that they hear without checking out the entire situation before its reported, or does it just seem that way? You’ve hit two topics, sourcing and deadline pressure, that can instantly turn even the best intentions sour. Unreliable sources, especially when anonymous to the public, can taint everything, even the parts of coverage that are legitimate. Yet they frequently find their way into news reports. Blame sloppy reporting. Blame poor standards for managing deadlines. Even mainstream journalists who are usually credible have their embarrassing moments. The Supreme Court coverage you mention is one glaring example. Being first remains a competitive priority in daily journalism. But that’s never worth much unless newsgatherers get it right first. When they don’t, they suffer the consequences. I appreciate you taking time out of your busy schedule to be our guest blogger. I have been reading the comments about the impact of social media and technology on journalism today. I believe that the world is becoming very technologically dependent. We want information, and we want it now. I remember as a young child, and all the way into high school, that I was so excited for Wednesday and Sunday to roll around so I could read the local newspaper with my grandparents. I would go to their house on those days and split sections of the local newspaper with them. It saddens me to think that one day my own children will probably be unable to share in this tradition. They will be on their own iPhones, iPads, laptops, etc. to get their news. It seems like the newspaper used to be full of information and multiple sections, but appears to be getting smaller and smaller every time I pick one up. It is rare that I still pick up an actual newspaper. I get the majority of my news from social media, online news sources, media text alerts, and watching TV news. My small town local newspaper even posts all of their news stories on their website. I actually believe that they post more news on their website than in the newspaper. It is also interesting to see that most media outlets have Facebook and Twitter accounts. I know the local media outlets in Knoxville have separate Facebook/Twitter pages for their weather, sports, and main news. It is so easy to get quick information at our fingertips. What impact do you see social media having on the future of printed, or even televised news? Do you believe that the majority of media outlets are turning to technology (i.e. websites, text alerts, social media) as opposed to printed materials, because it is more cost efficient, and/or because the public craves news in a faster pace? Raw public comments provide eyewitness accounts, live photos, quick reactions and potential sources for fuller news coverage. Journalists are still called on to verify facts, offer context, sort out the performance of authorities and pursue unanswered questions. But social media contributions from citizens have become a routine element in coverage. Two of the factors forcing media to turn more attention to technology: 1) Billions in advertising dollars stopped flowing into mainstream media. Fresh lines of revenue are needed. Until enough are found, many companies will keep cutting traditional expenses, like news staffs, paper and ink. 2) The public’s patterns of consuming information changed. Millions still read daily newspapers and watch TV newscasts. The industry is still profitable, minus fat net gains of the past. But existing audiences are dominated by older consumers. So many in younger generations never touch printed news pages. They don’t block off time to watch nightly news. Yet, for advertisers and for media companies, connecting with young adults is a key to future successes. This all requires rethinking ways of using technology to attract consumers. Especially coveted groups who want information, just not via the old media standbys. Money drives the debate about now and the future. I share the views of those who say that producing the right content in the right place for the right audience equals revenue opportunities. But I want to reach out to you and others for ideas on how that vague formula can be fleshed out. As a consumer of information, what kind of content are you willing to pay for? How can organizations that provide original news online go about charging enough for their efforts to earn a profit? What might compel users to pay by the story, timeframe or volume of data consumed? What else can be done to increase the value of digital products for advertisers, leading to more advertising revenue? What innovations come to mind for dealing with the expenses required to originate quality news coverage? I think an important question to ask myself is: Why do I or people pay for information in the first place? I know that I buy magazines or books, search news information when there is a problem that needs to be solved or a desire to broaden my knowledge on a topic. I am perfectly ok with buying information if it is factual, necessary and irreplaceable. I don’t see myself paying for one story. I can search multiple sites, receive information from each, and then establish my own opinion. Advertisers will have to intimately connect with their audience to continue increasing advertising revenue in todays market. I am currently taking an ethics class. Most of what I have wrote about has been of great interest, but I wonder how you pick your topics for these types of classes that seek to give us “ethical principles.” The Wall Street Journal talks about MBA students having to take an oath “These students promised to ‘serve the greater good,’ act ethically, and refrain from pursuing greed at others’ expense” Is this the main goal of your courses, if not what are the main principles that you try to teach your students through this class given your background? 3) defend their thinking against forceful challenges. History of media ethics, different philosophical approaches, codes and standards for editorial and for marketing professionals, and public perceptions of media are covered, as well. While with a group of friends, discussion ensued about the breaking news of slayings at the Colorado cinema showing of “The Dark Knight Rises.” Several expressed the opinion that if media did not cover these tragic events with such vigor to provide these individuals with such notoriety, they would not be inclined to pursue public acts of violence. A 30-year study researching the negative health effects of young people due to media exposure associated several possible effects. “Researchers from the National Institutes of Health and Yale University said they were surprised that so many studies pointed in the same direction. In all, 173 research efforts, going back to 1980, were analyzed, rated and brought together in what the researchers said was the first comprehensive view of the topic. About 80 percent of the studies showed a link between a negative health outcome and media hours or content.” Statistical relationships included childhood obesity, sexual behavior, substance use, even low academic achievement. While realizing that there is a parental accountability where young people are concerned, what societal impacts do you see from media reporting, if any? Interesting post. The influence of mass media (TV, movies, music, etc.) on children is an ongoing concern. How news coverage affects the community is a different element, but still worth debate. Newsrooms have to constantly clarify their roles. For organizations that exist to provide information that the public ought to know, aggressive news coverage is appropriate. Discretion and community sensitivity ought to be factored into news judgment. For example, many newsrooms handle reports of suicide with extra care, especially when involving private settings. Journalists should think in advance about the consequences of how they handle stories. Yet becoming hypersensitive to a point where news coverage is compromised creates its own set of credibility challenges. Responsible journalists do not want to encourage copycats when stories such as the shootings in Colorado erupt. But the psychology of violence is complex, as is preventing psychopathic behavior. These areas fall well outside the expertise of most journalists. Reporters ought to just report best they can what happened and why. When breaking news is tremendous, as with the shootings in Colorado, extensive news coverage is justified. As long as the content serves a broader and legitimate community purpose. I am curious what your opinion is regarding the expanding media areas (particularly on the internet) where people are considering themselves, and calling themselves, “journalist”, even though they have not formal training. I was thinking about two areas in particular. Independent Bloggers and, to quote CNN, “iReporters”, amateurs who are recruited or encouraged by established news organizations to post breaking (or just interesting) news to an organizations website. Over the last few years there has been a growing number of influential bloggers who have been encroaching on the traditional journalist fields. Juan Williams, just last month, created a small firestorm of controversy when he opined to Michelle Malkin that “I am a real reporter, not a blogger out somewhere.” To which Ms. Malkin replied: “Real journalists are apologists for corrupt policy”. IS there a great deal of tension in the world of journalism? As a casual observer I would have thought this had passed by with the change that the internet has brought to journalism. You cannot watch an international event (The recent unrest in Syria comes to mind) where amateur video shot on a cell phone is not posted on multiple main stream media sites. Which leads to my second question; the use of amateurs by traditional media to get stories out faster and with greater multimedia content (such as the before mentioned cell phone videos). Media seems quick to take advantage of any media, video or sound, on a breaking event from non-professional sources when it fits their needs. Do you believe that the attitude of professional journalists towards these nonprofessionals will change, or will the status quo continue, even in an ever changing media world? I received a degree in journalism. As a professional over many years, I participated in a good number of development programs. Since 2008, I’ve taught courses at three accredited college journalism programs. So I fully believe in formal training and I see great value in maximizing exposure, experience and expertise in the field. At the same time, I also share an irreverent perspective. Journalism is ultimately about the creation of credible content that consumers of news and information place value in. In that spirit, degrees, professional labels and other such credentials are not the most important factors. Content ought to be judged based on results. If information serves a practical purpose for readers and viewers and is received by an audience as credible, then that information has value, whatever the source. Information is worthy if facts are soundly gathered, stories are well told and commentary is effective in provoking thoughts. Many people with skills, passion and credibility, but no formal training, will be able produce worthy content. Conversely, as much as I believe training is important, not all those who accumulate formal credentials will produce consistently credible work. Thanks for your time, and for sharing your knowledge of the industry. As we know, knowledge is power. Much of the conversation has centered on print media, but in your opinion, how has the deluge of information impacted digital journalism? We have real time reporting of newsworthy event by “citizen journalists”. Anyone with a cell phone can record an event that might have a dramatic impact society (take the Rodney King incident for example). When 9-11 happened I watched amazed in real time on television as planes crashed into the WTC, but now the amount of information we process on a daily basis has multiplied many times since then. How is the debate over fair and objective reporting spilling over in the digital media? It seems that websites have segregated readers by political beliefs. Although not a media outlet in the traditional sense, The Daily Kos, for example, is a celebrated liberal website and invariably mixes liberal viewpoints with political news. There are numerous conservative sites as well. Are websites such as these only increasing the political divide in our country? Because of secondary and tertiary networks that have developed, people no longer have to get their news from traditional sources. I followed the recent Colorado theater shooting on a sports board of all places, and was able to keep up with the events as they developed without even turning on a television or logging into a news website such as Fox or CNN. Because of the above mentioned networks, will we eventually see websites of traditional news sources decline in viewership, much as print media is now? Note to Dr. Green: This is too long, I know. Part of what makes digital a force in society is the untamed nature of the communications. In that sense, the Internet, smartphones and other devices are driving the avalanche of information, not just responding to the trends. The Web and the Internet are not the exclusive domain of journalism. Many practices online have nothing at all to do with fairness, business, context, accuracy and other journalistic principles. Private individuals and organizations post because they can. Because they have something to show or say. Because they have self-serving agendas to push. Excellent information can be found. But no universally established standards of quality exist. The anything goes image matches that of the Wild Wild West. News organizations trying to carve out professional space in digital communities hope their standards will be seen as distinct. They want consumers to feel like their online coverage is a safe haven from the untamed and unreliable information that dominates the digital world. They want to take advantage of technology innovations that help attract new audiences. But many also want to transfer the best of principles from traditional media. They hope standards will provide a foundation for sustaining their news sites. They hope audiences will appreciate the differences. My daughter is studying journalism and she came to me recently to ask what she could do to make her career more sustainable. We listened/read your interview together. We both grasped your comment, “Treating development of skills as if mining for gold. Place high value on curiosity.” (My daughter has always been the one in the family that got in trouble for being too curious. She was happy to know that she will be able to make her main driver work for her). Friedman, T. L. (2007). The world is flat: A brief history of the twenty-first century. New York: Farrar, Straus and Giroux. Good to hear your daughter is interested. Even in these tough times for the business, great opportunities exist for those willing to polish skills, think deeply and work hard. Journalism needs very talented new people to help figure out what’s next. Thank you for your time and sharing your background and insightful research. As I read your information my mind automatically shifts to think of how I often find articles written in the British Broadcasting Corporation simply because the articles written tend to have a different perspective. The article also tend to be more extreme and less censored which makes me infer that journalist in the United States are either not collecting all of the facts and they too are delivering their stories in a manner that are easily accessible and there is no differentiation from their work compared to a random blogger with gathered facts. Not to get off topic, but I remember in Anthropology classes in my undergraduate studies, it was noted that history and cultures have stereotypes because when anthropologist from western cultures would ask others about their history, cultures, and beliefs, they would make up bogus facts to mock western society and western cultured anthropologist would take and run with it and report it in their findings. My question to you is that since everything is on such a global level, how you encourage professional journalist to get international perspectives that are variable? Also I read an article The ‘story’ in a risk society: A case study of the BBC and the ‘riskiness’ of journalism. that talks about the risk of journalism, with that being said, what are some advice would you give professional journalist that are more high risk and take on different perspective on liability and accuracy? Access to sources of information is more internationally diverse than ever. Journalists ought to be motivated to expand their awareness of the world for a number of reasons, including these two. 1) Knowing more about global affairs will help reporters develop context for their coverage. Even when their beats or coverage areas are local, global connections can sometimes be found. 2) Consumers have tremendous access to information from all over. Journalists who do not develop a collection of skill and knowledge that goes beyond what consumers can readily access themselves will have diminished value. Not every professional has to specialize in international affairs, though the broader the professional’s perspective the better. Professor Andrews, thank you for granting us the privilege of conversing with you via digital media. And speaking of digital media, now that we have it news appears to be accessible to our finger tips within minutes after it occurs. However, a day or two after the news has been reported; often you read or hear corrections on the news that was previously shared. Sometimes it is one of those stories which would be categorized as sensationalism or one that has all the hype to sell news. Either way it amazes me how we have such advance technology available like never before and yet statistically there are more errors now than of former years. Doesn’t the media realize that our children area watching. What kind of message does this communicate to our “generation text .” Perhaps the media is sending the message that it is okay to be mediocre. Can you please shed some light on the matter of high levels of inaccuracies in the media? And could outsourcing be the culprit? The best journalists can’t stand mistakes. Whether major or small, they are despised with a passion. Yet errors are inevitable. Considering that thousands of words and at least dozens of images are handled by the typical newsroom each day, under deadline pressures, fast-changing story developments, and other competitive challenges. Fighting errors requires unrelenting vigilance. Even so, most professional journalists are humbled by mistakes from time to time. This is true even in the most respected newsrooms. If an unreasonable pattern of flaws exists in published coverage, that is a classic sign of unprofessionalism, regardless of whether the offenders consider themselves journalists. There’s hardly ever a decent excuse for blatant patterns of inaccuracies. Thank you very much for taking you time on the post. I found very interesting in your insight of the journalism industry. As you mentioned, news and public comments are only a click away by web-based news or social media. However, I believe that the professional journalism continues to play an important role in our information society. We live in a world of flooded information. Accountability and credibility are more important for readers to evaluate information and understand its impact. A journalist, Jack Kapica comments that most citizen journalism sites show little understanding of the process of gathering the news and writing it in a conventional form. Conventionality of presentation is important because it can give readers a recognizable framework to assess and understand what’s being written. Kapica encourages the world of citizen journalism to hold high standards and practice sound journalistic principles (Hogg, 2009). It is a great opportunity for us to practice the citizen journalism and learn its professionalism through posting blog with coaching. Professor Andrews, your passion and dedication to the industry to teach and deliver accurate, prompt information to readers is well appreciated. Thank you. Quality of material posted online ranges from awful to outstanding. The beauty and the bane of wide open Internet access is that people are free to contribute content as they see fit. Those who want to move beyond just merely posting, to create content with credibility, will ultimately have to reflect the kinds of consistent standards you refer to. Very informative information. Thank you for your time and information. Good thoughts. Determining what news content people are willing to pay for is essential. The answer will help determine what happens next to journalism. Thanks. Holding public authorities accountable is one of the most important duties of the free press. Swift access to news and information is a defining characteristics of modern society. Thanks to technology, anyone can weigh in with observations, views and a version of the facts, whether credible or nonsense. Journalists cannot control this reality of citizens involvement. But they ought to be able to draw a distinction between the content produced by pros vs. the high volume of suspect material that thrives on the Internet. In the breaking news example you mention, the fatal shootings in Colorado, eyewitness accounts have instant appeal. As do reactions posted from many different sources. The challenge for professional journalists is to embrace that reality, knowing that they do not have a monopoly on information or perspectives. At the same time, they have to be able to offer readers and viewers something over and beyond material consumers can get elsewhere. Something relevant, credible and distinct. Thank for your time and expertise in sharing your thoughts of journalism. I still love holding a newspaper and reading it on the weekends. With the internet becoming such a large part of journalism I find it interesting in how a message is being told from a different perspective and media. A study of the credibility of political messages presented on the Internet found that those who use the Internet heavily tend to rate online information as credible. (Kaid, Postelnicu, 2006). The study also showed that when participants were presented with three sources of political information (one that was an expert, one that was trustworthy, and one that was a celebrity), participants found the celebrity to be the most credible. With the internet, anyone can be an instant credible source. With that being said many credible sources are rushing stories to release without fully checking the sources credibility. I appreciate how you express the importance of trust worthiness, and holding onto a core set of values to report things properly. My believe that american journalism which is newspapers and television news are not going to vanish in the foreseeable future, despite frequent predictions of their imminent extinction. But they will play diminished roles in an emerging and still rapidly changing world of digital journalism, in which the means of news reporting are being re-invented, the character of news is being reconstructed, and reporting is being distributed across a greater number and variety of news organizations, new and old. The Internet and those seizing its potential have made it possible—and often quite easy—to gather and distribute news more widely in new ways. This is being done not only by surviving newspapers and commercial television, but by startup online news organizations, nonprofit investigative reporting projects, public broadcasting stations, university-run news services, community news sites with citizen participation, and bloggers. Thank you for sharing your experience in the field of journalism. A new form of journalism has evolved that is demonstrated, for example, in the types of media responses from the recent shootings in Toronto, Canada and the shootings in Aurora yesterday. This form blended traditional reporting and crowd sourced reports that took place. Journalism has evolved to a situation where one can ask a question over the internet about an event that happened less than eight hours ago and can get an immediate response firsthand. Furthermore, the future of journalism is continually evolving based on the rapid growth of technology. In this case, we see several different factors coming into play with the way news and/or journalism is being practiced. The eyewitnesses, victims and others telling their stories are directly involved in the reporting of media themselves through blogging and twittering. Through this new methodology supported by advances in technology, the American public is not required to wait for traditional journalists to ask questions and find the answers.